The world is getting smaller and smaller. More and more people are travelling greater distances than ever before for both business and pleasure. With so many people in the world travelling airport shuttle companies and airport transportation companies are becoming very popular. These companies insure that you get to the airport on time and arrive at your destination safely. If you have a trip planned, you do not need to be late getting to the airport, or get lost on the way to your destination. Book your airport transfers in advance to avoid the following inconveniences. If you arrive at the airport late for your flight, you typically wind up spending much more. Airlines might re-book you for free if you’re late by means of no-fault of your own, however, if you’re late because of your own behavior, you will probably pay a hefty re-booking fee to get to your location. This may change the whole dynamic of your trip. If you have to buy a new ticket, an airline may give you a partial refund, but this really is after huge deductions that may leave you with merely a portion of what you paid for your ticket. If you are travelling with a non-refundable ticket, which is usually the case with promotional flights and sales, you will not be offered any refund. One more consequence of being late for your flight is being late for whatever you have planned at your destination. Business travelers might miss meetings or important parts of a conference. Missed possibilities normally mean lost money. If you are travelling as a tourist you take the risk of being late for tours, as well as losing the money paid to book them, or perhaps missing your reservation at a resort or restaurant. By arranging airport transfers this ensures that this would not take place. You should always book your airport transfers in advance. 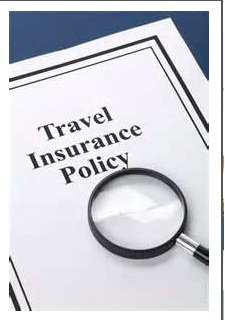 This is something your travel agent should always suggest and can do for you. Airport transfers as well as airport transportation companies typically ensure they shall be on time – which, as a result, you’ll be on time also. Booking airport transfers as well as paying for airport transportation in advance may seem like an extravagance, but it is really very practical. Some other advantages of booking roundtrip transfers in advance is the fact that you do not have to haggle with taxi drivers who may not speak your language. You may not have the local currency to pay for the cab upon your arrival. You may not know where you are going and you may end up spending more money trying to get to your destination. Having airport transfers will also ensure you arrive safely to your destination. By booking transfers in advance you will not arrive late to the airport and end up missing your flight. So in order to relax and get more out of your business trip or vacation, remember to always book your airport transfers in advance. I hope you have enjoyed these travel suggestions. Feel free to contact our offices for more travel advice. Holiday traveling is known for being a stressful time. With crowded airports, bad weather, flight delays, and angry people it can seem like the worst way to spend your holiday. But holiday travel doesn’t have to be so bad. Follow these five holiday travel tips and get rid of your travel anxiety. Waiting till the last-minute to plan your holiday trip could be a lesson in disaster. Book your flights, hotel, rental cars, and everything else you need in advance to make sure there are no problems. Make sure to plan accordingly and check several different travel sites to find the best deals. If you’re flying alone and are a little more flexible, you can try to take advantage of last-minute travel deals. Be careful though because waiting too long could mean a holiday home alone. It can also be beneficial to look into several airports for better deals and less holiday hassle. Many smaller airports will have fewer travelers, less delays, and better service during the holidays and can also offer better deals on airfare and hotel depending on their location. Make sure to avoid peak travel days if possible to save yourself as much grief as you can. Use the search features of many popular travel sites to save even more money by finding the best day to travel. Make sure to plan for layovers and give yourself plenty of time. Weather can wreak havoc on your travel plans and a missed connection could mean holidays at the airport. Packing light can also make holiday travel much easier. Avoid checking bags if possible and ship your luggage through a local carrier to save on holiday hassle. Most airlines charge fees for checked bags and during the holidays the process is a lesson in frustration. Ship your luggage and give yourself plenty of time for it to arrive before you do. 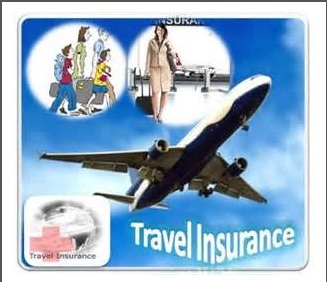 Most local carriers will even insure your luggage which airlines won’t do. Freight companies offer better tracking as well which avoids the problem of lost luggage. Make sure to know security regulations before packing carry-on luggage. They are very strict on things like liquids and anything sharp. To avoid frustration, know the rules and pack appropriately. Make sure to include snacks for your trip and something to drink. To avoid a headache, pack ear plugs or noise-canceling headphones and bring plenty of movies loaded on to your laptop or tablet. Make a list of everything you need to do the day before and the day of departure. Add everything you need to do beforehand to make sure all last-minute errands are ran and everything gets packed. This list may include items like arranging boarding for pets, paying last-minute bills, double checking all arrangements are made, and any other tasks that need done in advance. Make another list of everything that needs done on the day of departure. Include things such as grab boarding passes, check for flight delays, items to pack for carry-on luggage, etc. Make sure when you leave your home for the holidays to make sure to lock everything up tight. The holiday season is a peak time for burglary so make sure to lock all your windows and doors. Use timers to turn your lights on and off and appliance modules to turn on a tv or radio occasionally to make your home feel lived in. Have someone pick up your mail and check your home from time to time. Better yet get a house sitter. Avoid posting your travel information on social networking sites and your voicemail to alert people that your not home. Make sure to get to the airport a couple of hours early during the holiday season. This is especially important if you have bags to check or need to find parking. Have a friend drop you off at the airport to save on parking as well as avoid the hassle. Give yourself time to get through security which will be crowded and if you have planned well the process should go smoothly. Once you’re in the terminal, take some time to find your gate and then relax. Grab something to eat and drink and prepare for the fun ahead. I hope you have enjoyed these five tips for stressful holiday travelling. If you are still looking for a place to travel during the holiday season, it’s not too late, please contact our office today. Would You Like To Visit the Beautiful Islands of Hawaii? I have just returned from ten beautiful days in Hawaii. First, I visited the Big Island of Hawaii where I stayed at the Hilton Waikoloa Village. Then I stayed at the Embassy Suites on Beachwalk in Waikiki. Waikiki is located in Oahu where the Aloha Spirit reigns supreme. After a couple of days in Waikiki, I travelled to the Windward area of Oahu to an area called Kailua. Kailua has some of the most beautiful beaches in the world, which I enjoyed during my stay. Hawaii is the most unusual 50th American state. Timeless radiance, modern luxuries, rich history and natural wonders are just a few of Hawaii’s many attributes. Residents of Hawaii know how comfortable it is to live in a place where city life mingles with open-air adventure and beautiful beaches. Can you imagine green mountains emerging from the ocean, hundreds of waterfalls, refreshing forests and lava flowing from ragged rocks directly into the Pacific Ocean? There are myriads of interesting and attractive places and things to do and see in Hawaii. Waikiki Beach in Oahu, for example, fascinates tourists with its pristine beaches surrounded by glorious mountains. You can go to Germaine’s Luau and partake in a real Hawaiian tradition. Hear the drums, learn how to hula, carry a tiki torch, and taste the suckling pig. Waikiki is also the ideal place for a night-time stroll. Na Pali Coast in Kauai is famous for the canyon walls that seem to drop from thousands of miles directly into the ocean. Surfing is amazing in the winter on the Northern coast of Oahu. On the north shore you can visit the Polynesian Cultural Center or just go to the beach and watch the surfers. Did you know, Hawaiian Volcanoes National Park has the highest number of active volcanoes in the world? Visiting the beautiful islands of Hawaii is on the bucket list of just about everyone. Visiting the Hawaii islands is a dream of any tourist who loves the sun, loves beautiful beaches, and adventure. Once you arrive in Hawaii you will receive a warm welcome and feel the genuine kindness of the local people. The comfortable temperatures, blue skys, and the friendly and hospitable local people ensure that you will have the perfect vacation. Would you like to get information on a fascinating trip to the islands of Hawaii? Our consultants can help you discover the unique beauty of Hawaii. You can view the odd-shaped mountains, stroll through the tropical rainforests, or just relax in the sun on the never-ending beautiful beaches while you admire the active volcanoes and beautiful mountains. 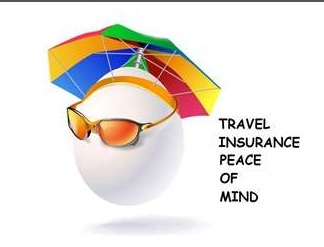 Contact Colesville Travel today at 301-989-1654 or email cindy@colesvilletravel.com. We are ready to help you plan your Hawaiian adventure. Colesville Travel is organizing a group trip to Hawaii next year. Stay tuned for details. Do You Need Some Packing Tips? Are you a packing procrastinator? Is your goal to fit everything in the carry-on, but you always wind up checking your bag? We’ve compiled some handy tips that may help you save some time, space, and frustration during your travels. Don’t put everything you’re bringing of great value in one spot. Make sure to divvy up your prized possessions in the event that a bag gets lost or stolen. That way, you won’t be completely wiped out of all identification and money at the same time. Another great thing to do BEFORE you leave, is to make copies of your credit cards and passport. Leave it with a family member or friend back home for reference in case you lose them. DON’T put all of your valuables in one spot! Are you traveling internationally? Are you visiting a destination with opposite seasons? Don’t always assume that the climate you’re about to enter will be similar to the one you left. This may sound like a no-brainer, but a lot of times we’re rushed. And if you wait to pull up that weather app when you’re already en route to the airport…well, you’re too late! Plastic bags can be handy for several reasons – so make sure to stuff a few in the corners of your suitcase (you’ll thank us later). These guys are great for packing liquids in case of spills, they are the perfect solution for separating your dirty and clean laundry, and have you ever had to leave a hotel with a wet bathing suit? Throw damp items in a plastic bag before you put it in the suitcase and you’re all set with no mess. Pharmacies and convenience stores have dedicated sections for travel size items. You can get most anything you’ll need in a smaller and compact package. And if you don’t like repurchasing products you already have plenty of at home, you can always get reusable bottles to fill with your favorite shampoo, conditioner, lotion, etc. Travel size, small containers, & plastic bags! This tip is very helpful when you’re visiting a colder climate. Our suitcases become a lot heavier when it’s chilly simply because we need warmer clothes, shoes, and jackets. On the day you’re set to travel, wear that big sweater and coat with your boots. And make sure you layer up so you can easily remove or add on as needed while traveling. Backpackers swear by this method. Rolling works well with pants, skirts, t-shirts, and tanks. Lay the item face down, fold back the sleeves and then roll from the bottom up. It’s also a great way to add cushion to fragile items. You can roll it up within your clothes to keep them safe and save space. So, go ahead and roll away! Well, you don’t have to, but it’d be nice 😉 Did you promise someone back home that you’d bring them back a souvenir from you trip? Many times, people pack their suitcases to the brim before departing. Unfortunately, this leaves little to absolutely no room for purchases while you’re traveling. We recommend packing a small empty backpack or duffle bag within your main suitcase before you leave. Then you’ll have a separate bag and plenty of room to fill on the way home. Did you have some more handy tips to share with our travel community? Let’s hear them! Add a comment and tell us how you pack. Contact Colesville Travel for your next vacation!